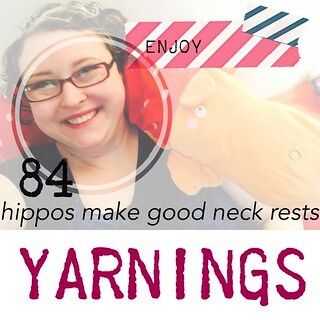 Welcome to the Yarnings Podcast, episode 84. Recorded Thursday, March 24th, 2016. It's 50° in Vancouver, WA this afternoon. still haven't moved furniture back to its place, so another episode on the couch it is :) last week was Gamestorm, so much friends, food, and fun was had... and knitting all the while! find me as @kdlb on instagram and kristine on ravelry. I am an Amazon affiliate and a Craftsy affiliate. clicking these links costs you nothing but helps support the show! Continue reading Episode 84: after the 'storm. Welcome to the Yarnings Podcast, episode 83. Recorded Wednesday, March 16th, 2016. It's 54° in Vancouver, WA this afternoon. my couch has a temporary location for having guests, and I show off lots of knitting. Continue reading Episode 83: from the couch. 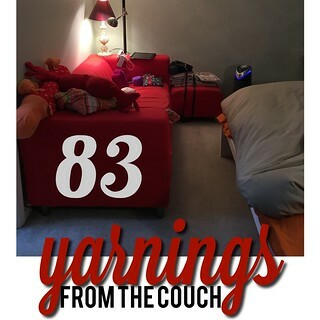 Welcome to the Yarnings Podcast, episode 82. Recorded Wednesday, March 9th, 2016. It's 52° in Vancouver, WA this afternoon, with rain. I'm finding pairings in my new yarns and in my life to share. watch and see how this works out! plus, the Rose City Yarn Crawl, and lots of crafting! Continue reading Episode 82: Pairings. The Yarnings Podcast is a videocast that talks about fibery/crafty projects, including knitting and spinning. With stories of cooking, geekyness, girly giggles, and more. Listen as Kristine loves on her hobbies and grows in happiness! part of the kadyellebee.com site. Powered by Movable Type, content pulled together by Simple Pie.